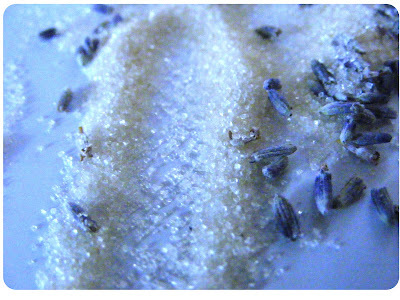 Oh, dear, I always wondered about lavender sugar. I think you've satisfied my curiosity, and saved me the bother of trying it. 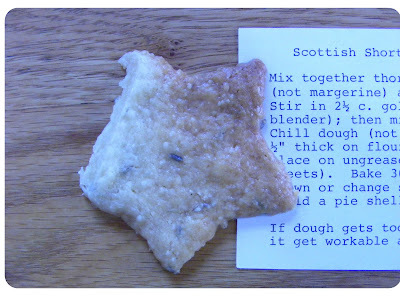 But gee, the shortbread looks good. I think I WILL bother with that! I have always wondered about this. I bought a huge bag of lavendar at the Atlantic Spice Co. and was planning on making tea cakes or cookies with it, but was worried they would taste too medicinal...maybe I will just make sachets to toss in with my linens instead. I think linens are a much, much better place for it! lavendar has always seemed to me (also) to be an intriguing baking ingredient. i wonder whether the lavendar farm people, in harwich, have a good recipe for lavendar cookies? perhaps the flowers should be ground up first, or maybe the less exciting leaves must be used instead. love that you share your failures as well as your successes! Connecting with the Harwich farm sounds like a very good idea. I'll see what they have to say! Grinding it up might do something...though I'm still not sold on it. I think this may be like cilantro, either you have a taste for it or you don't. Last summer I made lemonade and thought I would trying adding a few sprigs of lavender to our glasses. Our friend loved it, I thought it was weird but palatable and my partner thought it was disgusting. Maybe you're supposed to pick out the petals before you use the sugar? Your grandmother's recipe sounds yummy and quick and easy so I'm going to try it. Maybe I'll dip some in chocolate. Chocolate improves the taste of just about everything! I thought about that, but it didn't seem like the lavender had done much to the sugar, and the recipe said nothing of the sort, so I couldn't quite decide. I think we need an expert to weigh in here. Love the photo of the naughty cookies. If I put all of my bad food outside, I'd having standing room only from the animal population! Made the shortbread cookies as written. Perfectly delicious. 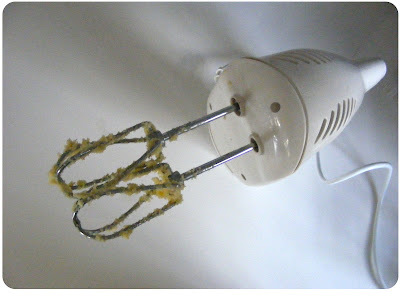 I did leave the dough in the fridge too long so I nuked it for 20 sec. in the microwave. Couldn't find my rolling pin. I used a tall votive candle left over from P and N's wedding. Worked perfectly. Would offer a cookie to the fishmonger's mother but she seems to only be eating chicken and green things lately. So glad they came out nicely for you. Sometimes when I can't find a rolling pin, I use a wine bottle, so a candle also sounds like a very good fit. Creativity at its best!